Description: Merkel 203E 12ga, 27-1/2" barrels with Full & Improved Modified chokes. 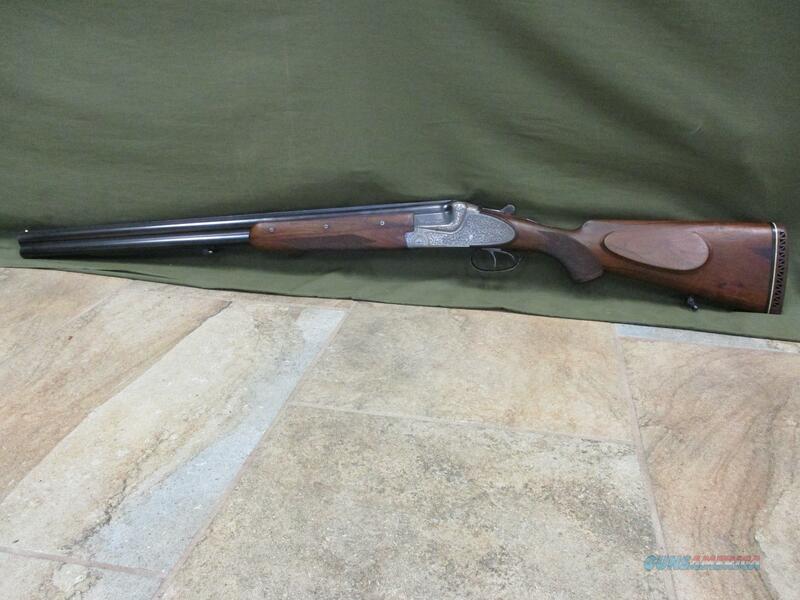 Auto ejectors, 15" length of pull, 98% blue, 98% silver engraved receiver, excellent wood with crisp checkering. Tight as new, mint bores, priced below wholesale.